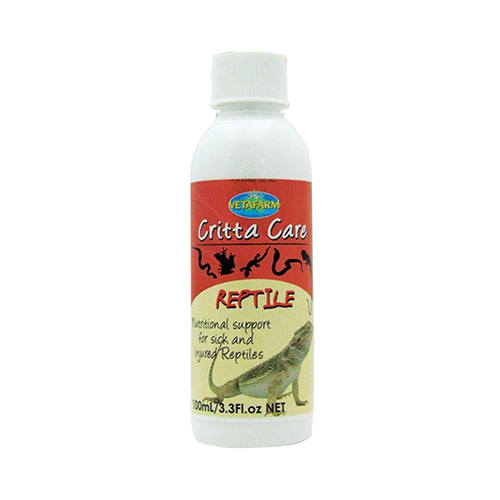 Vetafarm Reptile Crittacare is specifically designed nutritional support for sick and injured reptiles. It provides high energy food for emergency feeding of any reptile. It renders essential energy, proteins and vitamins in an east to use paste formula for direct feeding. Give approximately 5ml per 100gm body weight, per feed. Use a feeding tube for snakes and a tube or a syringe for lizards and amphibians. Store in a cool, refrigerated place between 4-8 degrees temperature.